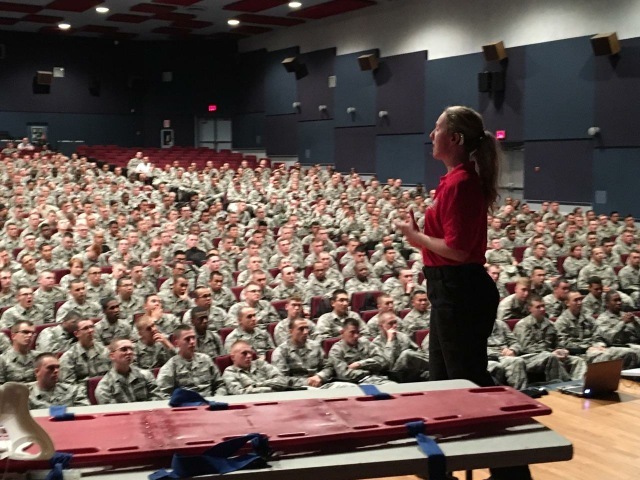 Natalie Brown presenting at Sheppard AFB in May. All part of a great day making a difference to our Military friends! New motorcycle and racing components are making a great impact!